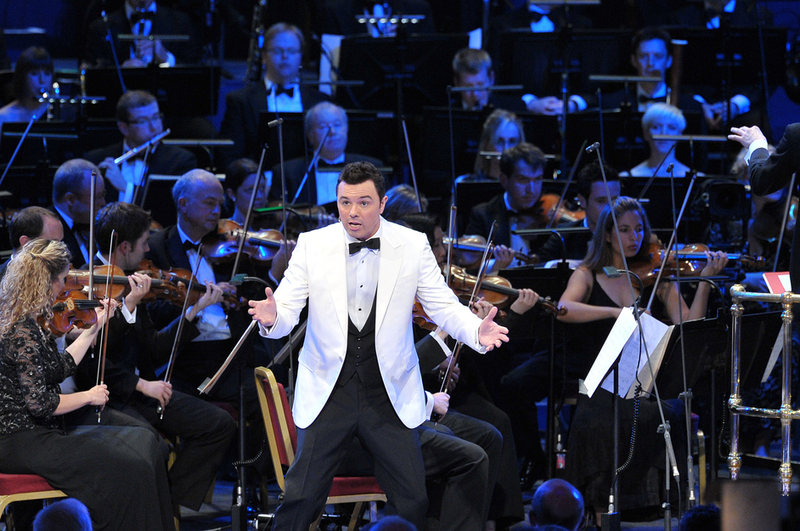 This Late Night Prom, a homage to Frank Sinatra, celebrates the centenary of this musical legend in a concert that brings together some of the great voices of our own time, led by the multitalented Seth MacFarlane, creator of Family Guy, who's joined by the John Wilson and his orchestra. A longstanding fan of ol Blue Eyes, MacFarlane trained with Sinatra's vocal coaches and used the late crooner's preferred microphone while recording his 2011 album Music Is Better Than Words. What are the best dining options near Prom 30: The John Wilson Orchestra Performs Frank Sinatra London? Prom 30: The John Wilson Orchestra Performs Frank Sinatra gyms, sporting activities, health & beauty and fitness. The best pubs near London Prom 30: The John Wilson Orchestra Performs Frank Sinatra. Prom 30: The John Wilson Orchestra Performs Frank Sinatra clubs, bars, cabaret nights, casinos and interesting nightlife. Where to have your meeting, conference, exhibition, private dining or training course near Prom 30: The John Wilson Orchestra Performs Frank Sinatra. From cheap budget places to stay to luxury 5 star suites see our discounts for Royal Albert Hall hotels, including Baglioni Hotel London from 81% off.